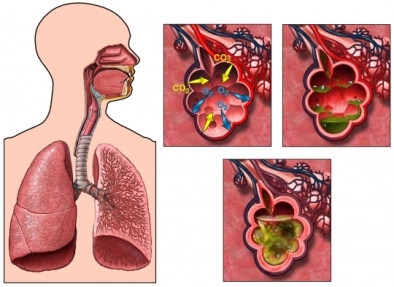 Community-acquired pneumonia in adults. EBSCO DynaMed Plus website. Available at: http://www.dynamed.com/topics/dmp~AN~T115170/Community-acquired-pneumonia-in-adults . Updated December 18, 2017. Accessed February 16, 2018. 10/21/2013 DynaMed Plus Systematic Literature Surveillance http://www.dynamed.com/topics/dmp~AN~T115170/Community-acquired-pneumonia-in-adults : Hemilä H, Louhiala P. Vitamin C for preventing and treating pneumonia. Cochrane Database Syst Rev. 2013;8:CD005532. 3/10/2014 DynaMed Plus Systematic Literature Surveillance http://www.dynamed.com/topics/dmp~AN~T115600/Obstructive-sleep-apnea-OSA-in-adults : Su VY, Liu CJ, Wang HK, et al. Sleep apnea and risk of pneumonia: A nationwide population-based study. CMAJ. 2014;186(6):415-421. 6/17/2014 DynaMed Plus Systematic Literature Surveillance http://www.dynamed.com/topics/dmp~AN~T115170/Community-acquired-pneumonia-in-adults : Reissig A, Copetti R, Mathis G, et al. Lung ultrasound in the diagnosis and follow-up of community-acquired pneumonia: A prospective, multicenter diagnostic accuracy study. Chest. 2012;142(4):965-972.